I seem to be constantly chasing my tail and trying to catch up! All was well in April until after Easter when a nasty sinus flare-up laid me low and I really didn't feel at all like blogging. So a brief roundup of what I've been reading. To celebrate the bicentenary of Anthony Trollope's birth I first read Rachel Ray and then Nina Balatka/Linda Tressel which I picked up at the library sale simply because it was a Trollope. Originally published anonymously in an attempt to move away from his recognisable style these two novellas are the rather depressing stories of two young women whose families will do anything to stop them marrying the men of their choice. I didn't like them - I missed England and the English but most of all I missed the humour. Another novella - Where Angels Fear to Tread by E.M.Forster. His first published work it contains the same themes that he developed to better effect in his later novels - the hypocrisy of Edwardian society, the difficulty in reconciling opposing forces and lush descriptions of the Italian landscape. 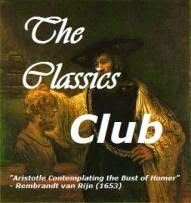 I thought the opening chapter was one of the funniest I've read and overall it was enjoyable reading for the Back to the Classics challenge - read a novella. 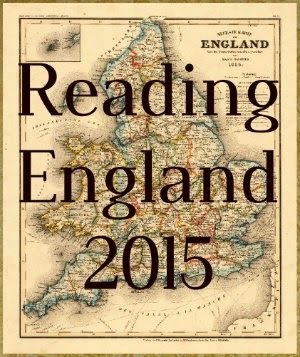 For Reading England 2015 I was in Devon with Rachel Ray and also with Gentian Hill by Elizabeth Goudge. There were books started prior to April that I needed to finish. To Let by John Galsworthy brought the first three book volume of the Forsyte Saga to completion. A reread of Jane Eyre by Charlotte Bronte has been on my Classics Club list since the beginning and I took advantage of the Cornflower Book Group reading to get this achieved. It's been many decades since I first read it and I certainly had a far deeper appreciation of Charlotte's writing this time and some fun thinking about the reliability of first person narrators but it took me two months to finish which is not a good sign. I enjoyed the first half but, dare I say it, became increasingly bored with Jane and Mr R. and the second half was a struggle. I know many readers would disagree but for me Jane Eyre is a book to read and love when one is young. The only non-fiction I read was Behind the Mask: the life of Vita Sackville-West by Matthew Dennison which I found extremely disappointing. The author seemed to be able to find nothing to write about except an endless list of Vita's love affairs. Not a lot of contemporary fiction - I finally got around to starting Susan Hill's Simon Serailler series with The Various Haunts of Men, another thriller Missing You by Harlan Coben, Jo Walton's latest My Real Children and one of my favourite books for April.. Initially I passed this over at the library because its cover looked too much like chicklit but when I saw it on the Bailey longlist I changed my mind. Norah is upper middle class, totally repressed by a domineering mother whose death has now left Norah struggling to make ends meet and having to take in a lodger - Letty. house on the outskirts of town. Woefully ignorant her only experience of childbirth comes from reading 19th century novels. If you like good old fashioned story-telling with great characters and lively dialogue, humour, and even a thriller element, I recommend. I loved it! Onward into May and I'm trying not to look too far ahead. I haven't heard of Aren't We Sisters, but it sounds very interesting! I've been curious about Trollope's Nina & Linda, but I think I'll move them further down the pile now. I've just started re-reading Doctor Thorne myself. I hope May brings you lots of good books, and time to read them. Once I finish Zola I'll be returning to Dr Thorne......so long since I started it I probably need to return to the beginning. Anyone reading through all of Trollope's work will want to read these two at some point but they'd be at the bottom of my list. I thought I was reading quite a bit in April but I ended up somehow behind. However I will just plow ahead, not look back, and hope I can finish everything along with my May reads. I'm so glad that you're joining in with the Beowulf Read-Along. I read The Kill as my last Zola and am now trying to finish up Money. A Zola is always a worthwhile read. I managed the reading but not the blogging and hope to do better in May. Beowulf is proving a real surprise - can't imagine why it has intimidated me for so long - loving it! Interesting, I didn't have the same experience with Jane Eyre but I can understand your difficulty. The second half is certainly different from the first and tends to be more problematic. And Trollope without humor is no fun! I cherished the funny parts of my most recent read, Doctor Thorne. I'm impressed that you can read 4 books at a time! Two seems to be my limit, and one of them has to be audio (or at least read/listen). The first three book volume of The Forsyte Saga was a favorite several years ago, before blogging, and I was hoping to reread and jump in with the group. Doesn't look like that will happen... just too many books I want to read! Hope you can join us for Doctor Thorne. I'm not really! it's just that I have started that many and can never quite make up my mind which one to pick up. Dr. Thorne is ready and waiting for when I finish Zola. A reread of Jane Eyre has been on my Classics Club list from the beginning too, but I can never seem to get round to it. I loved it when I was younger so when I do eventually read it again I'll be interested to see what I think of it now! I hope you enjoy your May reads. I've just finished reading The Dead Duke and thought it was fascinating. if you do get to Jane Eyre I'll be interested in your thoughts as I'm sure I'm in a minority. Too old for Grand Romances :-) The Dead Duke is getting positive comments everywhere and I was pleased to actually find it on the library shelf. Only just begun it but glad you think it worthwhile reading.